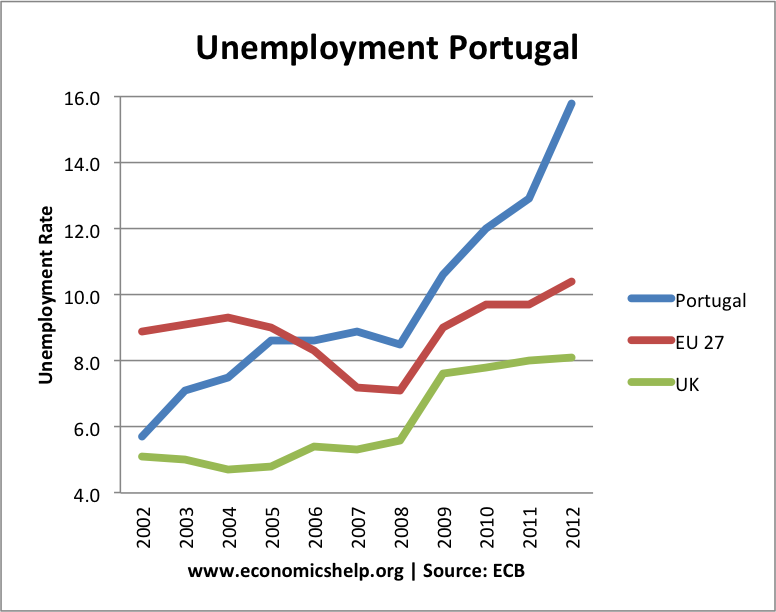 Between 2009-16 the Portugal economic experienced a severe economic crisis – characterised by falling GDP, high unemployment, rising government debt and high bond yields. 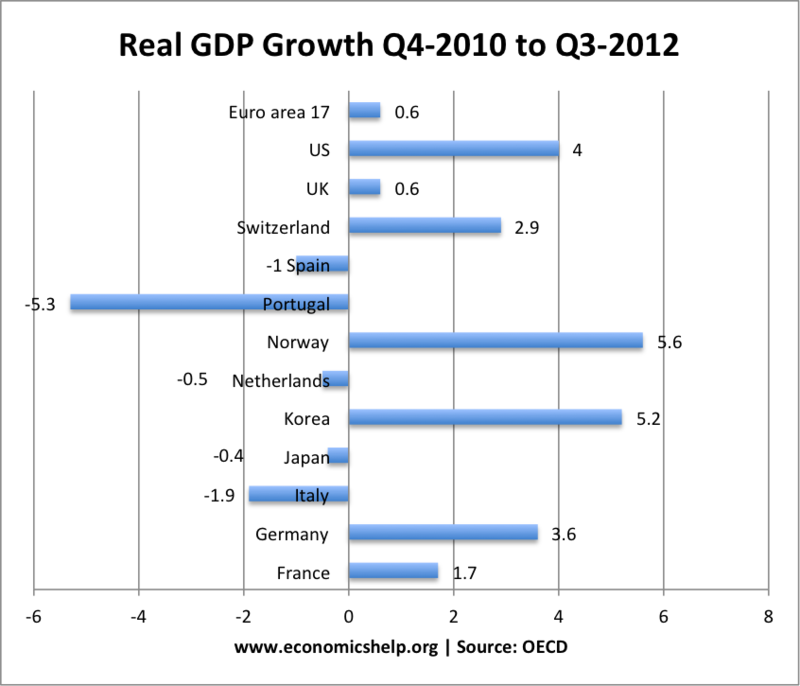 This was caused by a combination of the global recession, lack of competitiveness and limitations of being in the Euro. 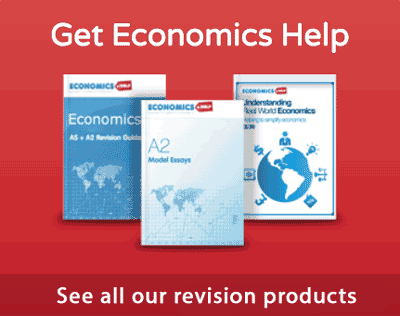 What caused the Portuguese economic crisis? With the rapid drop in real GDP and austerity measures, the Portuguese unemployment rate has increased at one of the fastest rates in the EU. It has got so bad, the Portuguese Prime Minister has been quoted as saying the young Portuguese, should show more effort and leave the country to get a job. 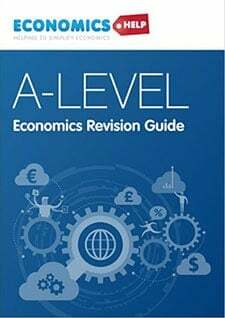 ‘They should show more effort’ and ‘leave their comfort zone.’ (FT) He suggested that teachers unable to find a job at home should think about emigrating to Angola or Brazil. Unsurprisingly, the austerity measures are leading to widespread protest and concern the relatively new Portuguese democracy could be threatened by the spectre of mass-unemployment. 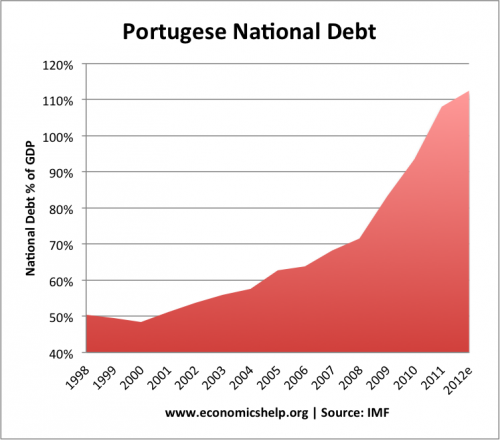 On joining the Euro, the Portuguese national debt was below the 60% limit set by the Maastricht criteria. By the start of the debt crisis in 2009, the level of public sector debt had edged up to 70% of GDP. 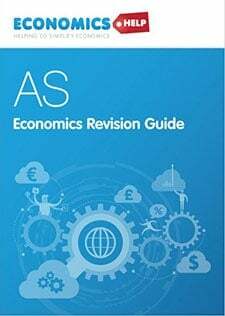 However, the recession of 2009-12, has seen a rapid increase in the level of debt, despite efforts to reduce public spending and austerity measures pursued by the government. From Jan 2010, fears over the stability of Eurozone bonds spread to Portugal, and bond yields rapidly rose to unsustainable levels. This caused the government to pursue emergency austerity measures. Fears over future economic growth. Banks more suspect about holding any Eurozone debt. 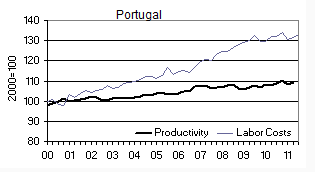 In response to the debt crisis, Portugal pursued austerity with great vigour Between 2009-11, the budget balance was reduced 7.9% of GDP – a large tightening given the economic situation. (See: Fiscal multipliers in Europe). The government cut spending leading to job losses and lower disposable income. Higher taxes also reduced disposable income. The impact of austerity measures also reduced consumer and business confidence. Because Portugal was in the Single Currency, there has been little other options to boost domestic demand to offset the fiscal tightening. No devaluation to boost the competitiveness of exports. No loosening of monetary policy. 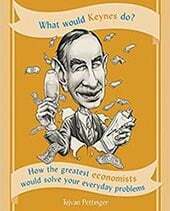 In this economic situation, deflationary fiscal policy has had a very high negative multiplier effect causing a substantial drop in real GDP. Since 2000, productivity-adjusted wages have increased only 5% in Germany (they actually declined from 2000-2008). In other European nations, meanwhile, wages have increased by between 25% and 35% (Vox). 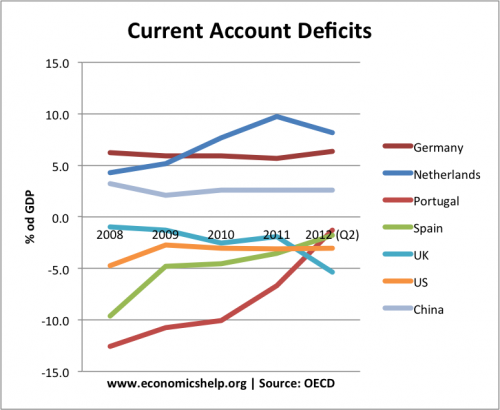 In 2008, the Portuguese current account deficit was over 12% of GDP. This was a reflection of this decline in competitiveness relative to the rest of the Eurozone. In the Euro, prices and costs increased in Portugal more than the northern Eurozone economies, but without the ability to devalue, goods become more and more uncompetitive. The current account was temporarily financed by capital inflows, but after the credit crunch these dried up, the ability to finance the current account declined. Labour costs rising faster than productivity. 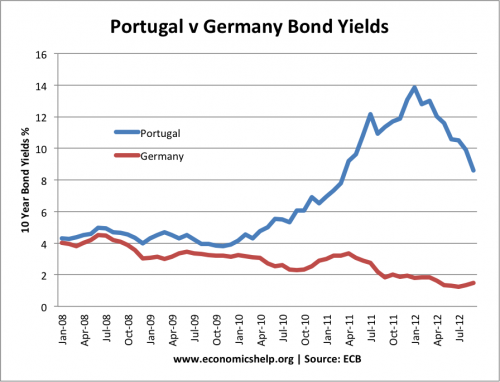 This entry was posted in economics and tagged debt crisis, euro crisis, portugal. Bookmark the permalink. Excellent presentation of the facts. Raising taxes to pay for a huge inefficient and bureaucratic state was completely the wrong thing to do. It reduced internal consumption partly due to less money in private hands (and I mean, making people VERY poor) and businesses closing. I hate the word ‘austerity’ because it seems to mean cutting back on business in an attempt to pay debts, whereas really business should be increased. Unfortunately unions and the state are very powerful here, so they hang on to money as the private business disappears. With much of the young skilled labour force now gone, the government will have to pay for this spiral of debt with pensions. Luckily it is mostly the state workers that have these nice pensions, so whichever way they fight for power, they will loose their money. 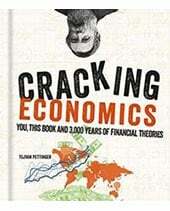 The Portugal economic crisis was also caused by the US Economic crash of 2008.